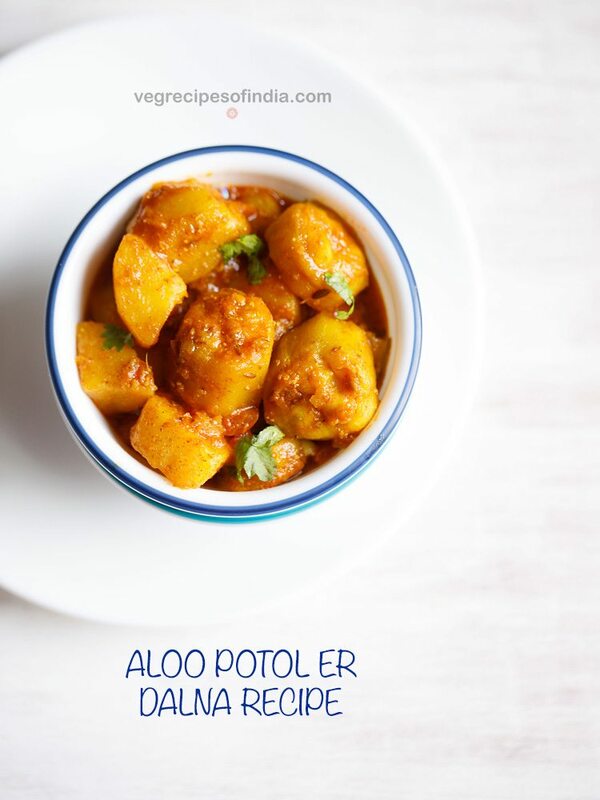 aloo posto recipe - traditional bengali recipe of potatoes in a lightly spiced poppy seeds paste. 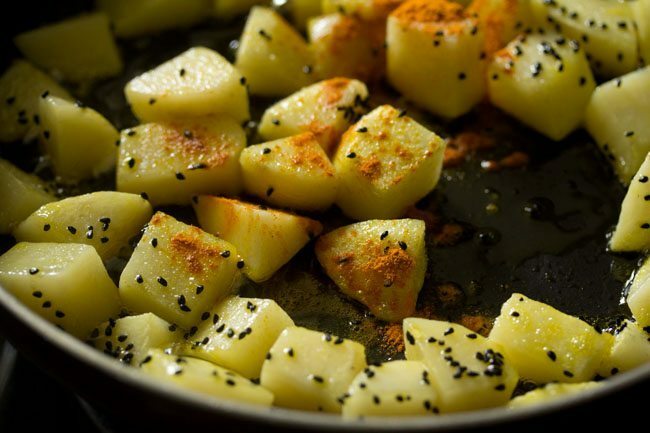 aloo posto recipe with step by step photos – traditional bengali recipe of potatoes in a lightly spiced poppy seeds paste. 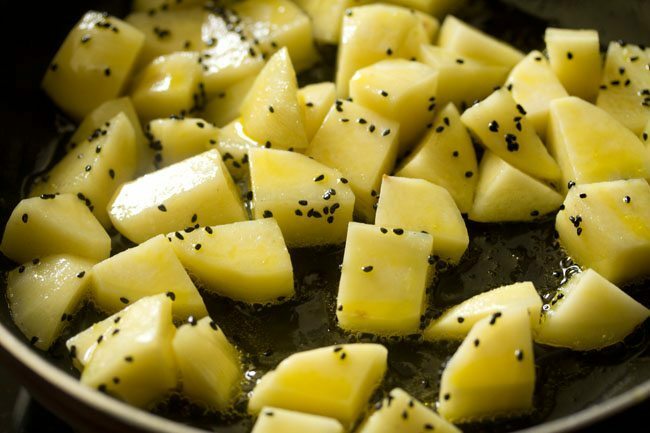 of course aloo mean potatoes and posto means poppy seeds in bengali language. 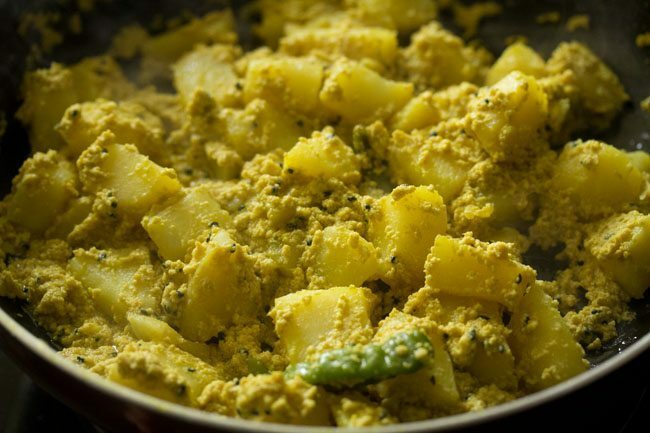 aloo posto is one of my comfort food with rice. once in a while i make aloo posto with steamed rice and a dal. this time during durga pooja, i thought of sharing the recipe. 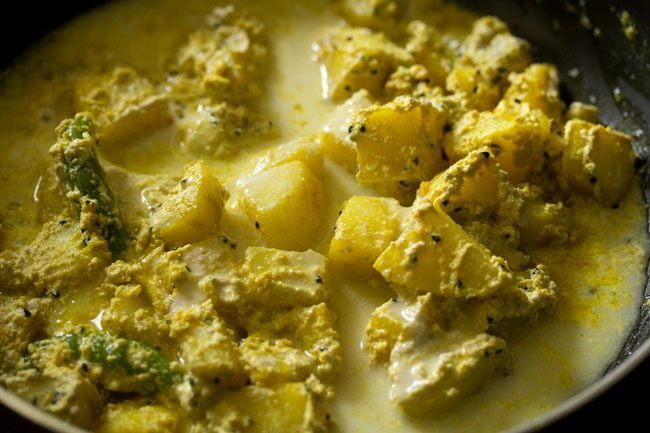 some years back, the recipe of aloo posto was shared with me by our bengali house help. i had noted down the method and from then onwards, i do make aloo posto once in a while. this recipe is a no onion no garlic recipe. if you want you can add onions too. 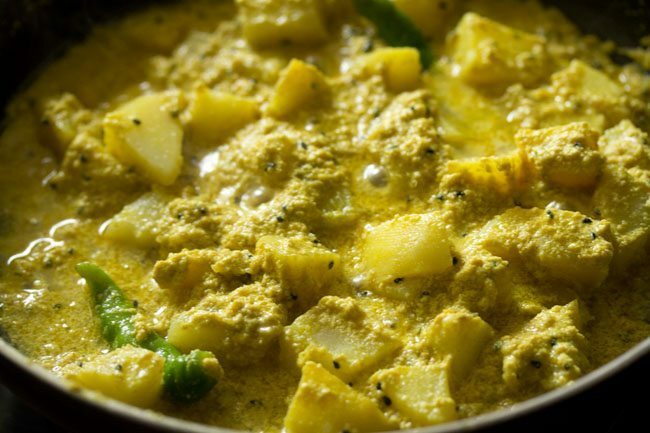 i have always made aloo posto without onions, so i am not sure how the aloo posto with onions taste. 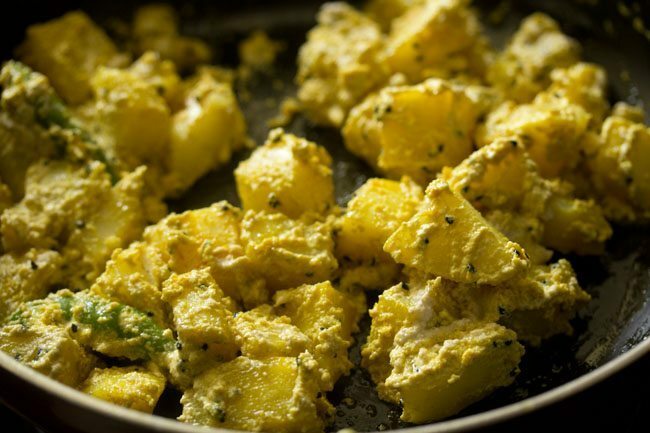 also i do add turmeric powder in aloo posto. but its optional and you can skip it. 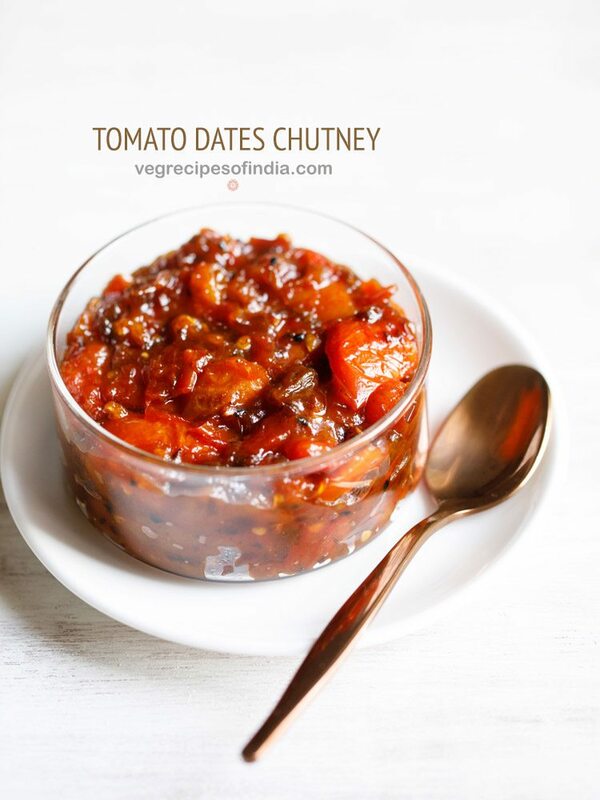 there are some variations in the recipe like adding sugar or red chilies or panch phoron but i follow the method given to me and it has always been good. 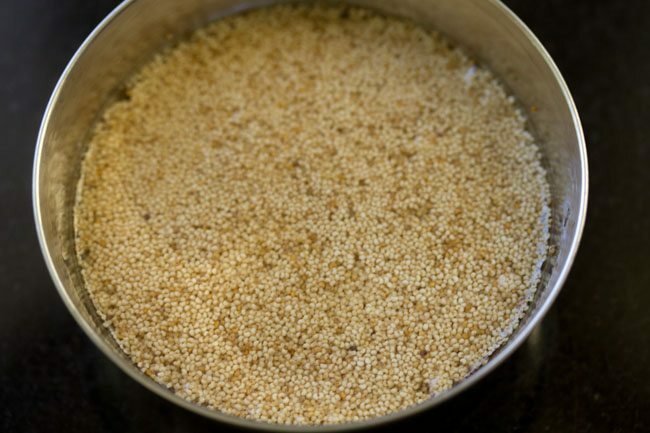 while using poppy seeds, do take a note of their freshness. they should be in their shelf period. if they start turning rancid, then please do not use them in the recipe. it will spoil the whole dish with bitter taste coming from the poppy seeds paste. 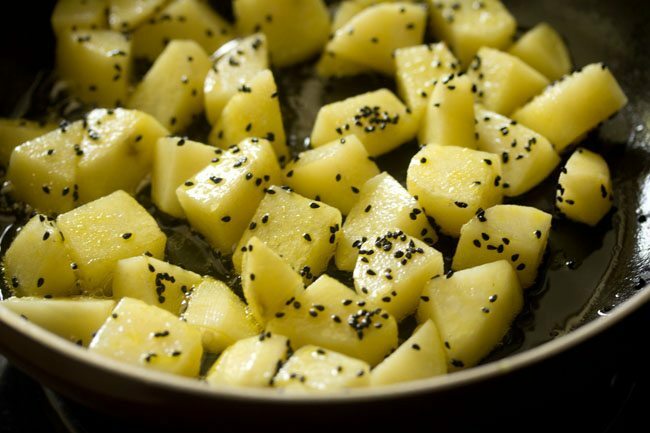 the three essential ingredients apart from potatoes that cannot be substituted in the recipe are nigella seeds (kalonji), mustard oil and poppy seeds. 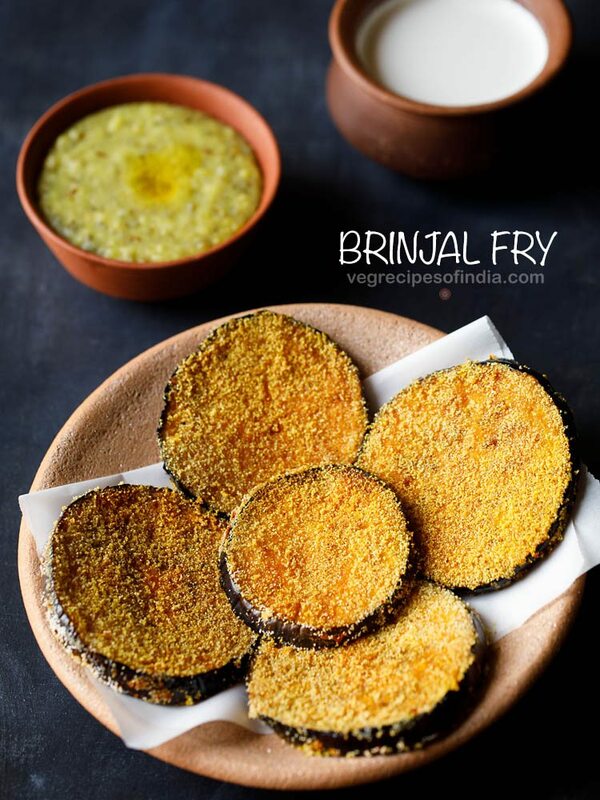 many readers have requested me to add vegetarian recipes from bengal, orissa, assam and north eastern indian states. so i will be adding some recipes from these states. i do have some recipes given to me by my bengali house help. 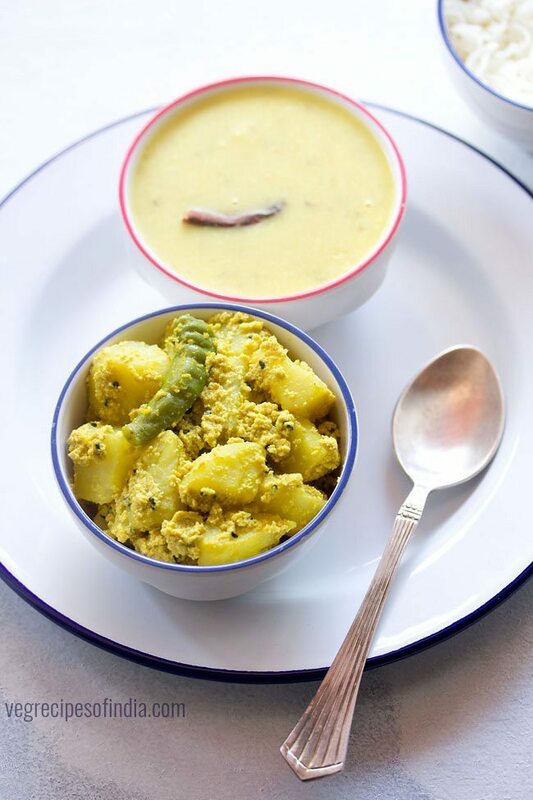 aloo posto is always served with steamed rice accompanied with kalai dal (urad dal). though you can even just have aloo posto with rice. 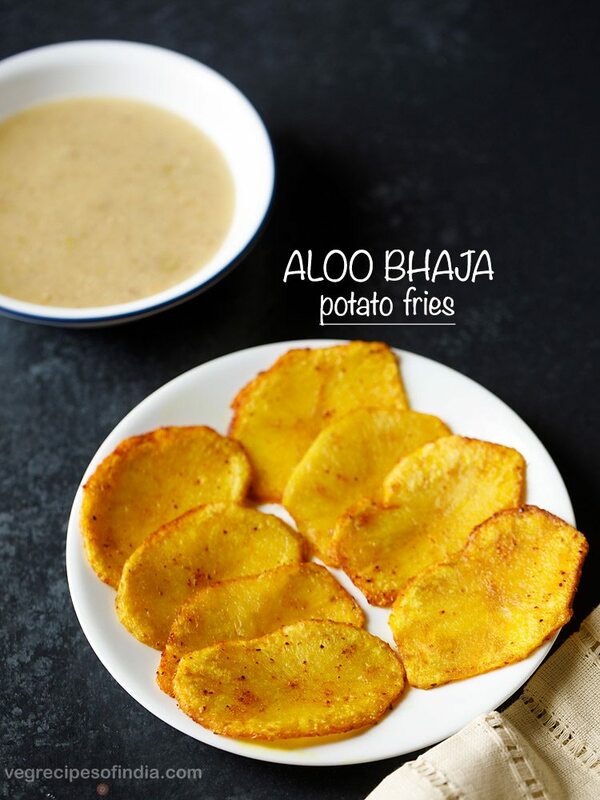 not so traditional way is to have aloo posto with chapatis or bread. but trust me steamed rice (bhaat) and aloo posto are a match, you should not miss. if you are looking for more bengali recipes then do check singara, cholar dal, matar kachori, dum aloo, rasmalai and rasgulla recipe. soak 3 tablespoons poppy seeds in 1/4 cup water. i usually soak the poppy seeds overnight, so that the grinding is easier. otherwise they don't grind well. if you forget the soaking, then soak atleast for a couple of hours in warm water. after overnight soaking, use a fine mesh strainer and drain all the water. add the poppy seeds in a small chutney grinder. add 1 green chili and 1 tablespoon water. grind to a fine paste. add more water if required while grinding. 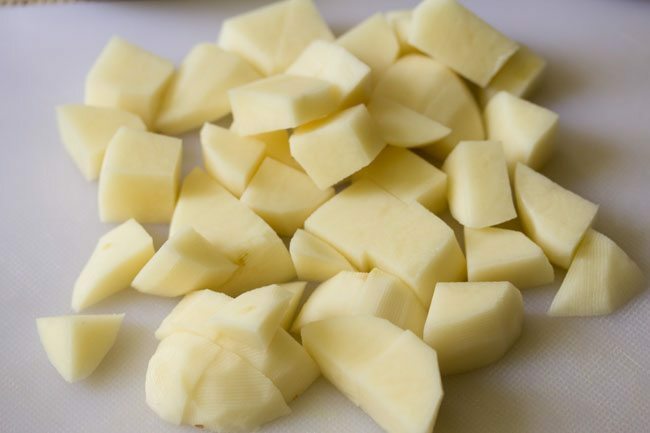 next rinse, peel and chop 2 large potatoes (300 grams potatoes). heat 2 tablespoons mustard oil in a pan or kadai and let it smoke on a medium flame. lower the flame and add 1/2 teaspoon nigella seeds (kalonji). stir and saute the nigella seeds for a few seconds. mix very well with oil and nigella seeds. on a low flame saute the potatoes, stirring at times, till they are half done or they become faint golden from the edges. then sprinkle 1/4 teaspoon turmeric powder/haldi all over the potatoes. turmeric powder is optional and you can skip it. add the poppy seeds paste and two whole green chilies. scrape of all the poppy seeds paste from the grinder jar and add. you can even rinse the jar with some water and then add the water in the pan. now add 1/2 to 2/3 cup water. the amount of water required depends on the consistency you want. 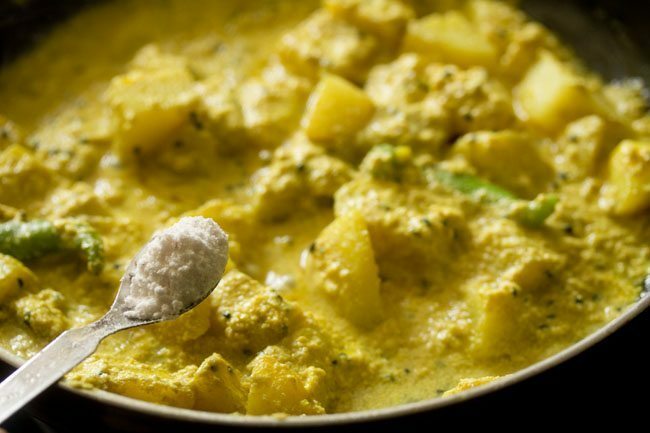 usually aloo posto has a dry to semi-dry consistency, but for a gravy consistency you can add some more water. season with salt and mix well. you can also add sugar if you want. cover the pan with a lid and on a low flame simmer till all the water dries up and the potatoes are cooked. the poppy seeds paste will also cook by then. do not overcook the potatoes. do check a couple of times when the potatoes are cooking. 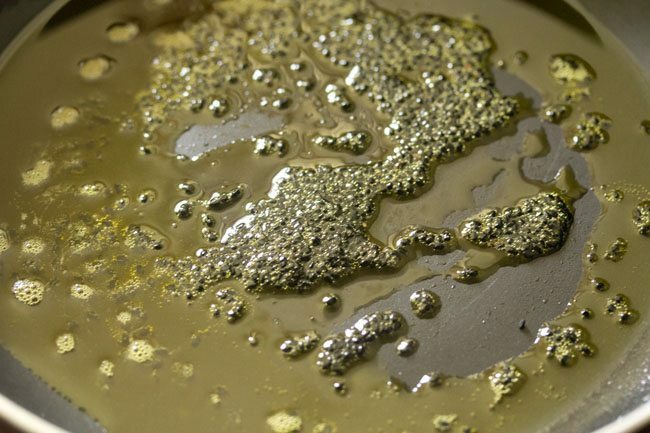 the consistency should be dry and there should be no water in the pan. the poppy seeds paste will also coat the potatoes. while serving you can place some fresh green chilies if you want as a garnish or serve aloo posto plain with some steamed rice. 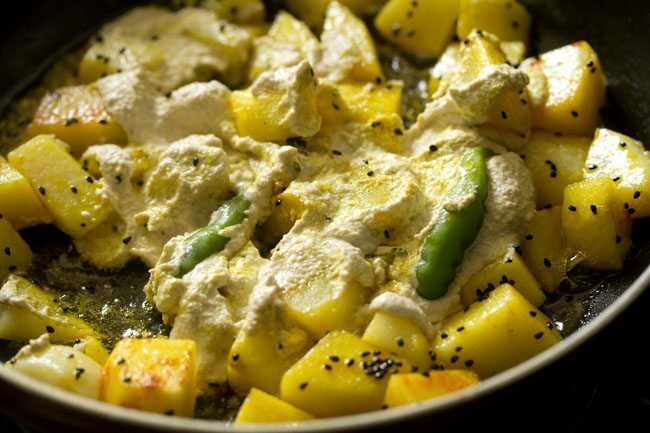 green chili can be skipped while preparing the aloo posto paste. addition of turmeric powder is optional. use poppy seeds which are in their shelf period. you can also add a bit of sugar for a slight sweet taste. red chilli powder can also be added. 1. soak 3 tablespoons white poppy seeds in ¼ cup water. i usually soak the poppy seeds overnight, so that the grinding is easier. otherwise they don’t grind well. if you forget the soaking, then soak at least for a couple of hours in warm water. 2. after overnight soaking, use a fine mesh strainer and drain all the water. below pic shows the soaked poppy seeds. 3. add the poppy seeds in a small chutney grinder. 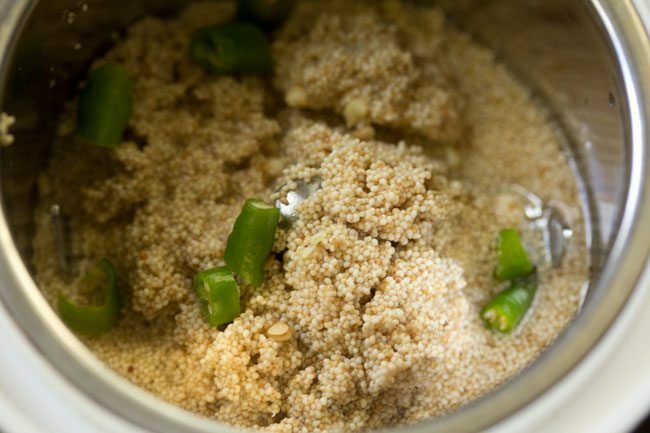 4. add 1 green chili and 1 tablespoon water. 5. grind to a fine paste. add more water if required while grinding. 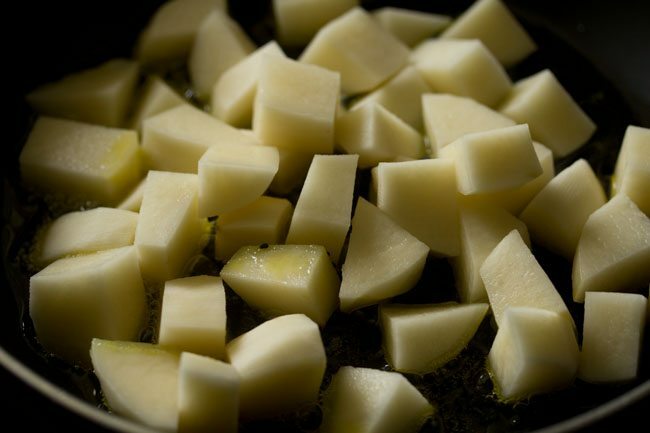 6. next rinse, peel and chop 2 large potatoes (300 grams potatoes). 7. heat 2 tablespoons mustard oil in a pan or kadai and let it smoke on a medium flame. 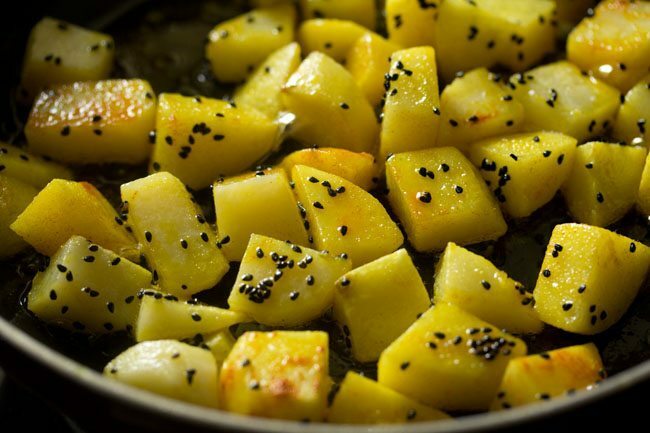 8. lower the flame and add ½ teaspoon nigella seeds (kalonji). 9. stir and saute the nigella seeds for a few seconds. 10. add the chopped potatoes. 11. mix very well with oil and nigella seeds. 12. on a low flame saute the potatoes, stirring at times, till they are half done or they become faint golden from the edges. 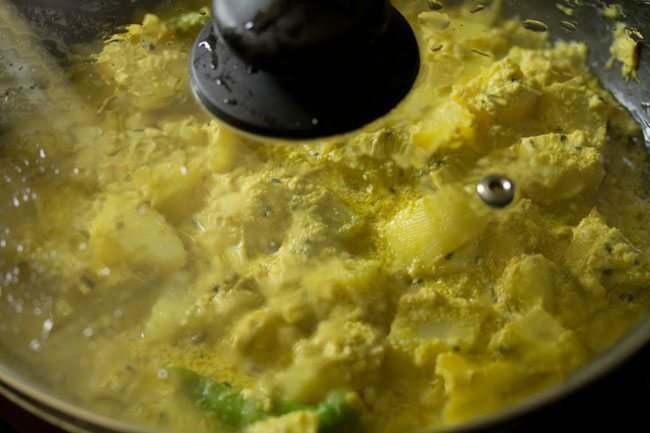 13. then sprinkle ¼ teaspoon turmeric powder/haldi all over the potatoes. turmeric powder is optional and you can skip it. 15. add the poppy seeds paste and two whole green chilies. scrape of all the poppy seeds paste from the grinder jar and add. 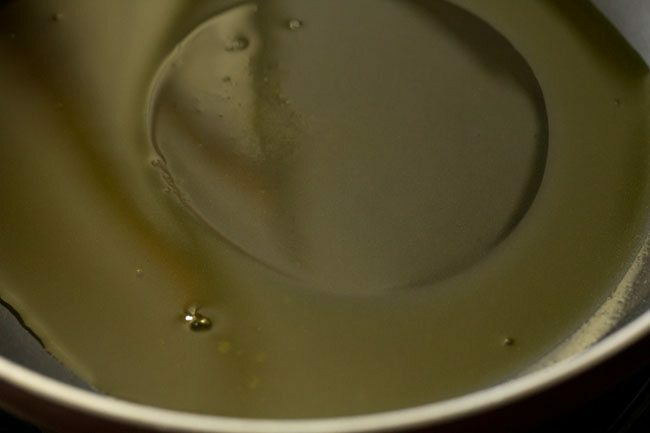 you can even rinse the jar with some water and then add the water in the pan. 17. now add ½ to ⅔ cup water. the amount of water required depends on the consistency you want. 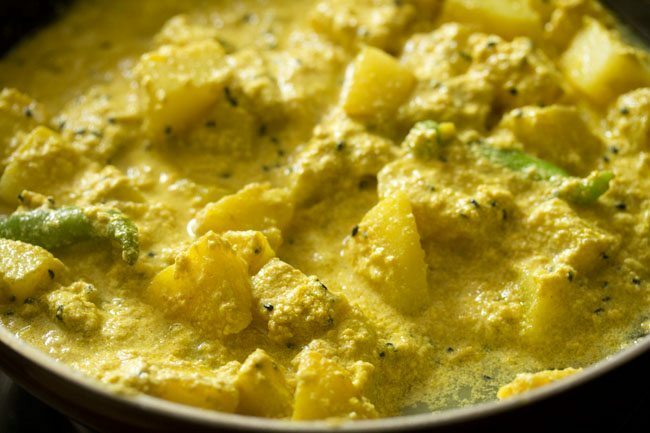 usually aloo posto has a dry to semi-dry consistency, but for a gravy consistency you can add some more water. 19. season with salt. you can also add sugar if you want. i don’t add. 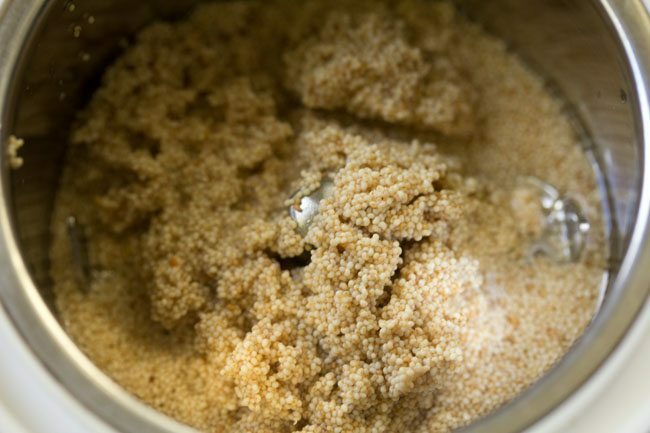 add about ¼ teaspoon sugar or as per your taste. 21. cover the pan with a lid and on a low flame simmer till all the water dries up and the potatoes are cooked. the poppy seeds paste will also cook by then. do not overcook the potatoes. do check a couple of times when the potatoes are cooking. if the potatoes are under cooked and the water has dried up, then you can add some water. 21. the consistency should be dry and there should be no water in the pan. the poppy seeds paste will also coat the potatoes. 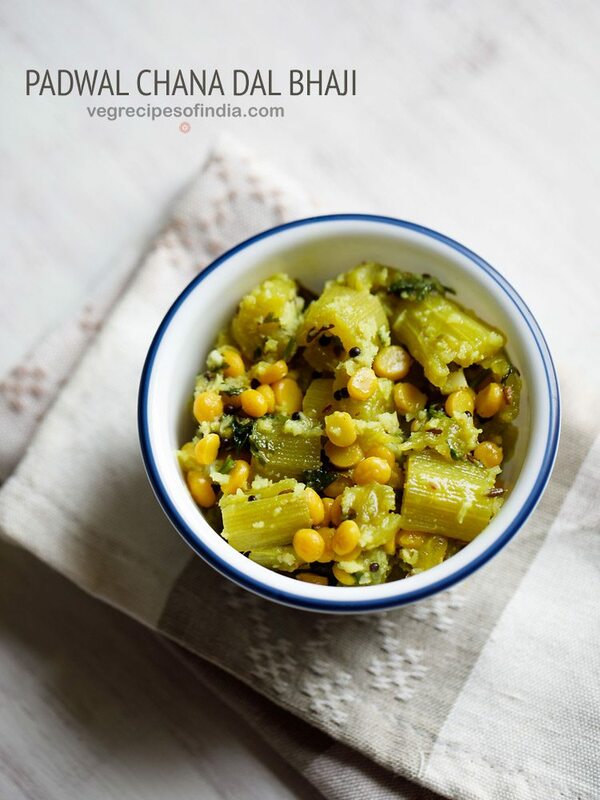 22. while serving you can place some fresh green chilies if you want as a garnish or serve aloo posto plain with some steamed rice. Hi mam,i am a regular visitor of your site. 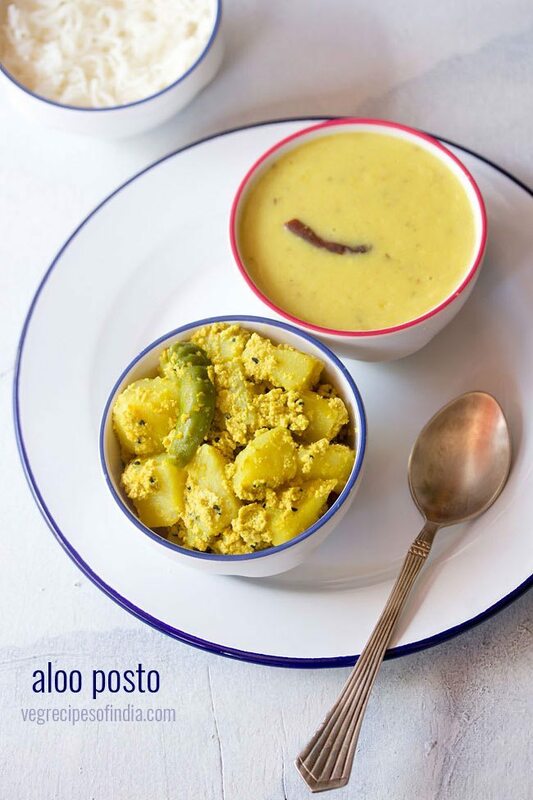 your recipes are so simple and perfect for cooking at home.one thing i want to share with you that we make posto almost daily at our home. but we add the posto-green chili paste at the very end of the recipe, after the potatoes cooked well.and then cook for jst a minute and then it’s done. 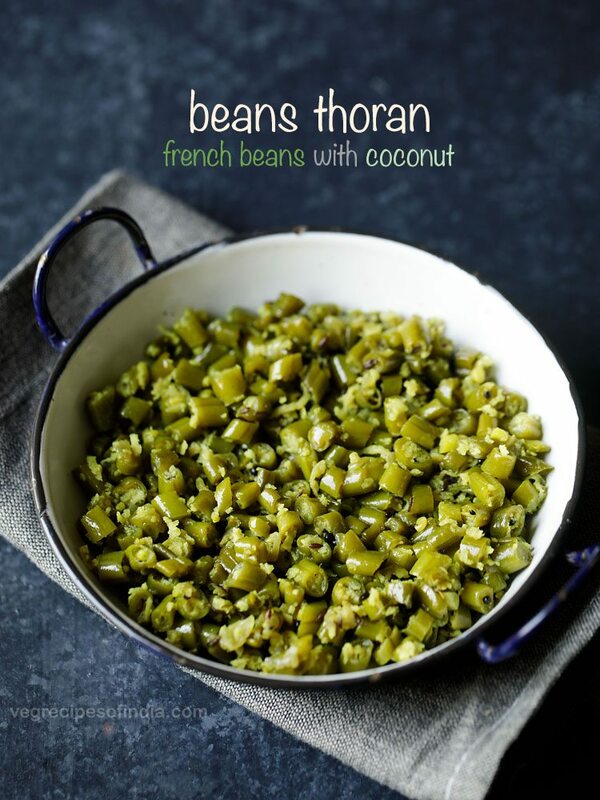 It gives better aroma and taste of posto and the green chili. thanks mou for letting me know this. i never tried this way. i will surely give it a try. thanks you misty for sharing so many suggestions. the organic poppy seeds i purchase sometimes do not grind well. so i soak them. i was not aware of the coarse paste. i will give a try with the coarse poppy seeds paste and of course will skip turmeric and drizzle some mustard oil. 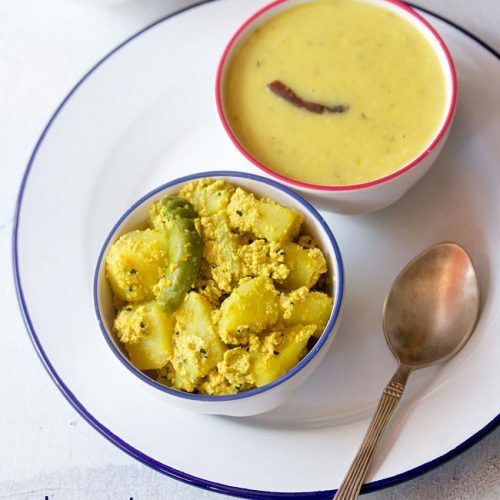 in fact aloo posto is a comfort food for us too. thanks again. Hi Dassana I finally cooked Alu posto last night! Initially it was a disaster.I had soaked the poppy seeds for almost 8 hours. Yet when I tried to grind it with some water and chili, it just didn’t work. That’s because I was using a chopper instead of a wet grinder. 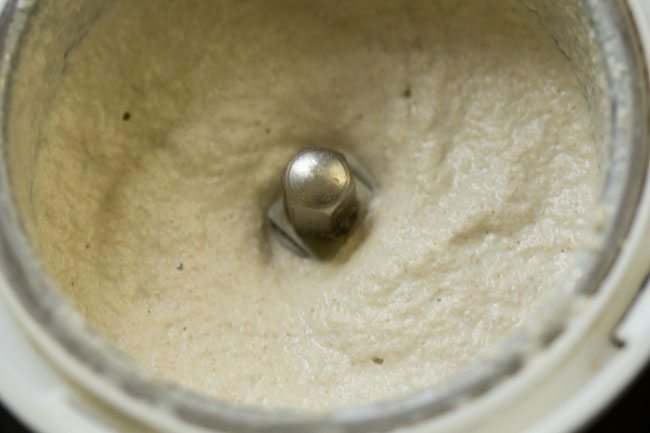 My Ninja chopper works fine for almost all other pastes but poppy seeds by itself just doesn’t work. 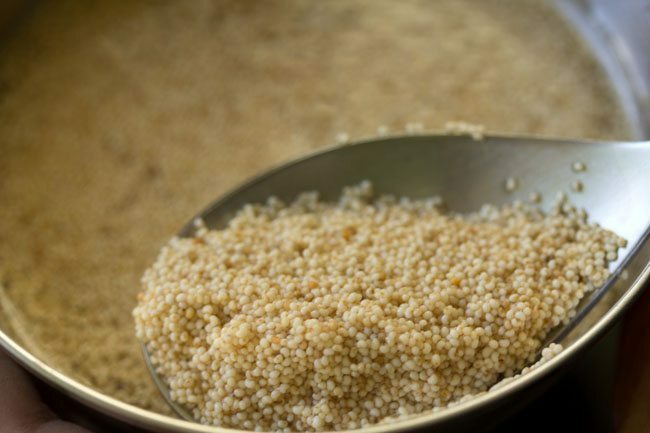 Then my husband suggested dry grinding poppy seeds into a powder and then mixing with a little water to make a thick paste. This worked perfectly well and I was easily able to add this into the potato as per your instructions. The results were yummy. I loved the mild, lingering and fragrant taste of posto and kalonji. Thought of sharing my experience with you 🙂 and thank you again for the diverse recipes in your website. I have stopped consulting other cooking blogs for Indian recipes. I totally rely on you, a few friends and my mum on the phone for recipes and cooking tips. If there is any way I can reciprocate or contribute, please feel free to email me directly. 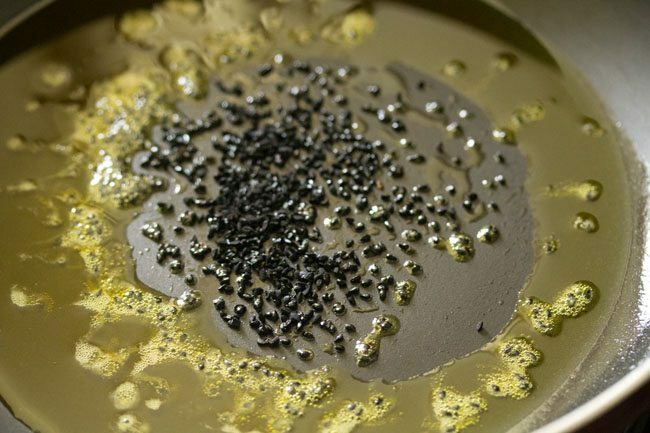 poppy seeds need a good grinder. i have used a chutney grinder here, but even a wet grinder will do the job. your husband saved you. good of him to come up with this suggestion. light roasting of the poppy seeds and then grinding to a powder can be done if one does not have wet grinder. yes the creaminess of the posto and the flavor of the kalonji is too good. it is good of you that you shared your experience as it will help other readers also. welcome zeenat and also thanks for the kind offer. Excellent recipe…. this is the way my mom makes it…. though we do not add turmeric. I would like to share the urad dal recipe that goes very well with this recipe. Soak n boil urad daal…. heat oil in a tadka pan, add saunf, hing, dry whole red chilly and season the daal with the tadka, add salt n add previously made paste of ginger n saunf, give the daal one boil, add salt n cover the daal, switch off the gas. The consistency of the daal should be very watery. thanks shreerupa for your feedback. i know some folks do not add turmeric powder, thats why i have mentioned in the post that turmeric is an optional ingredient. also thanks for sharing the urad dal recipe. i did try urad dal recipe but i felt i need to try a few more times to get the right taste. i have taken a note of your recipe and will give it a try. thanks again. gives a very good sound sleep after eating it…! !